Can't Catch This 3d Racing brings console and computer racing games to iOS. With this all new 3d racing game you are able to tilts your device to steer your car. 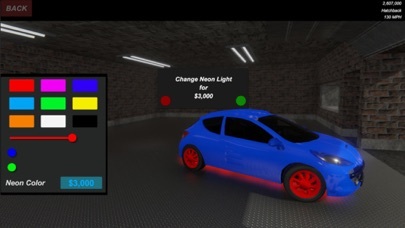 But unlike other racing games, you can customize everything about your car from the rims, to the glass, even to the neon light trim under neath. This is a really cool game with so many features, it even has its own free roam feature, so you can drive into the world as fast as you want!